In 1167, Diarmait Mac Murchada brought English mercenary troops to Ireland. He had lost the kingship of Leinster and Uí Chennselaig during a struggle for the high kingship of Ireland, and hoped to regain his throne. Although could not know it at the time, Diarmait had set a precedent which would lead to centuries of English military intervention in Ireland. This first involvement was not a straightforward war of conquest, but a messy affair with tangled politics. Two styles of warfare were used – that of the Gaelic natives, and that of the Norman-influenced newcomers. English military techniques allowed them to dominate, and as a result transformed Irish warfare. 12th-century Irish warfare was mostly made up of raids into opponents’ territory. The land was devastated and movable property looted, but these were assertions of might, not wars of conquest. Many examples of this are recorded in the Irish annals, such as those of Inisfallen which record in 1109 ‘Muirchertach Ua Briain… plundered in Dub-Bréifne, searched its recesses and fastnesses, and carried off cattle, booty, and many valuables’. The theft of livestock was important. This also happened in other regions, such as the Anglo-Scottish border, but it was particularly central to Irish warfare. It even extended to people being taken away to become slaves. Those left behind were sometimes massacred, to prevent them attacking the slavers or slowing the raiding party’s retreat. By the mid-12th century, slaving was becoming rare, but it still happened, and was still accompanied by massacres. 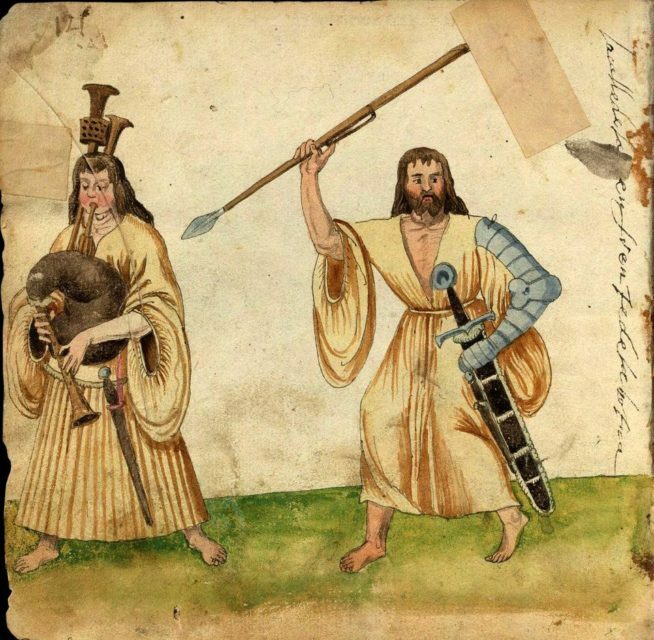 Native Irish warriors did not have the latest military technology. They fought with short spears, battle-axes, darts and sling-stones, and wore very little armour. Heavy chainmail armour was rare, and they were unused to weapons which were of great importance elsewhere in Europe, such as crossbows. Mercenaries were frequently used. Some of these were natives, such as the traditional fiana warbands and the ceithirne congbhála (‘retained bands’). Others were foreigners, the means by which the English first became involved in Ireland. Foreign troops were initially reliant upon their employer and had no local ties that might influence their behaviour. This could make them more reliable. The English forces were used to fighting in a style more like that of mainland Europe. At the heart of their armies were small numbers of aristocratic horsemen in mail coats, armed with swords, lances and shields. Their sense of identity was defined by their military role as heavy cavalry, separate from the other soldiers. They fought out of obligation to a higher lord, and had to stay in constant training for war. In battle, they delivered a heavy first assault. High impact charges by knights using lances and swords could break large enemy formations. Despite this, English warfare was not always dominated by open battles. Castles and sieges were very important to western European military culture. Tall stone castles dominated the surrounding landscape while being defensible by a small number of men. They were tools of aggression as well as defence in war, claiming new territory or defending existing holdings. Castles made sieges important, and a set of rules developed to govern how they were fought. Safe conduct was given to defenders who surrendered rather than face a hopeless fight. Religiously influenced rules sought to influence other parts of war and so limit bloodshed. Acts such as massacring civilians and attacking unarmed foes were condemned. These rules were not set down in a single place, but the assumption that both sides were following them allowed enemies to trust each others’ word and behave more humanely. In particular, they required that knights who surrendered in combat were treated well and given the opportunity to buy themselves out of captivity. 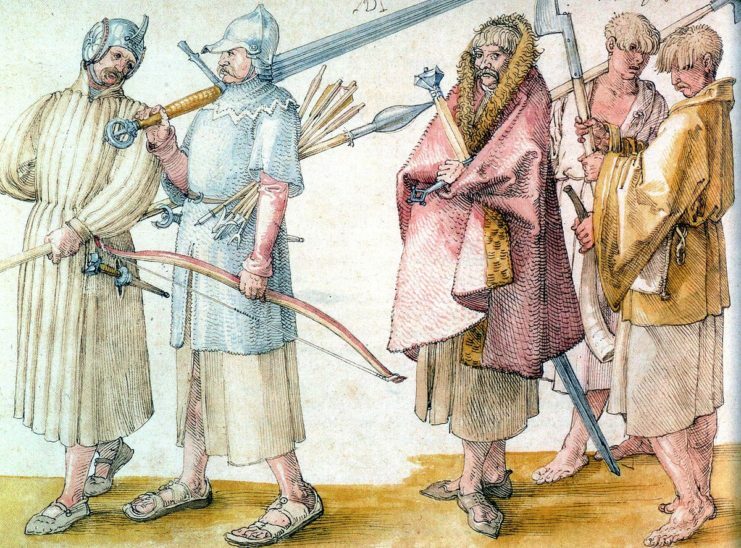 English mercenaries brought much of this style of fighting to Ireland with them. Lords such as John de Courcy in Ulster used castles to dominate Irish lands. The Song of Dermot and the Earl tells how the English had ‘the country planted Both with castles and with cities, With keeps and with strongholds’. These castles were often used – de Courcy had to retreat to one his castles in 1178, only a year after he began to make a name for himself. As well as places of retreat in moments of crisis, castles along the borders provided shelter from raiders. With castles came sieges, another fixture of English rather than Irish warfare. Dublin was taken by the English twice during the early days of their presence. They held onto Limerick, the only fortified city on the Shannon river, after capturing and plundering it in 1175. In other ways, the English acted more like their Irish employers. Native annals record many incidents of them using raiding tactics in the Irish style, as in 1196 when a group of Englishmen ‘plundered Inis-Eoghain, and carried off therefrom a great cattle-spoil’. This shows them using not only Irish tactics but also Irish priorities, stealing livestock instead of land. They acted more brutally than might be expected given the rules of chivalry. Prisoners taken in battle as Dundunnolf had their limbs broken and were thrown over a cliff to drown. This was partly an adaptation to facing the less restrained Irish. But it also reflects the limits of knightly rules of warfare, which were never intended to protect the lower classes or people seen as barbarian outsiders. 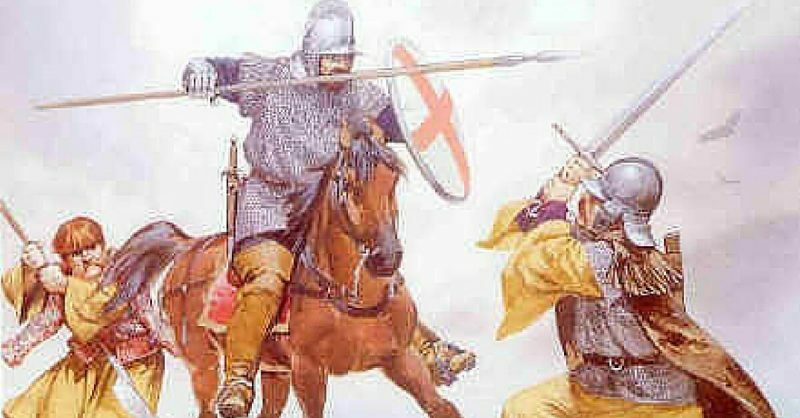 The English avoided pitched battles in Ireland, making their hard hitting heavy cavalry less useful. 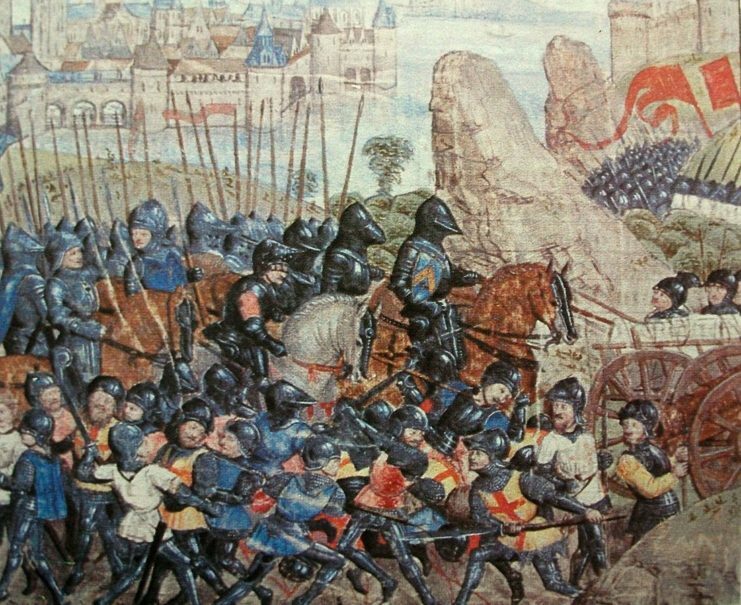 This was not the huge change it might seem – even in the knightly heartland of France, sieges and raids made up the majority of warfare, pitched battles the desperate and decisive exception. The English presence in Ireland has changed both sides militarily. But in the 12th century, the start of this encounter, it brought more change to the Irish. Castles and knights became a part of the landscape, while the English continued crude tactics with which they were already all too familiar.